Starring actor and martial artist Michael Jai White, Eamonn Walker as the violent local mob leader, Dante Brasco as Pinball the loud mouth fight promoter/manager, Michelle Belegin as the smokin' hot drug-addicted trophy girlfriend of the local mob boss, Julian Sands, and features martial artist Matt Mullins as the final boss character and MMA fighters Bob Sapp as Hammerman the undefeated local mob champion, Kimbo Slice as a prison thug gang leader, Maurice Smith, Gina Carano and Ernest "The Cat" Miller as a wiged gay fighter. Plus the 6'4", 240 lbs American Gladiator Tao, real name Tanoai Reed. Once again the classic but still very entertaining underground fighting film, the loner taciturn fighter who need fast money to help somebody else, the scumbag fast talking promoter/manager, the evil mob boss, and a little bit of cheesy drama around the non-stop bloody fight action. Here the taciturn loner fighter (Isaiah Bone) is Michael Jai White. A superb martial artist blessed with good look and a one million dollar body. 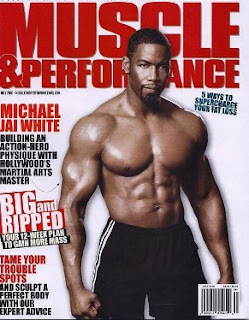 Michael Jai White, 6'1", 220 lbs, started martial arts training at the age of 8. He holds 7 differents black belts: Shotokan, Tae Kwon Do, Kobudo, Goju Ryu with Master Eddie Morales, Tang Soo Do, Wushu and Kyokushin Karate. Although his style incorporates aspects of many different martial arts forms, White main focus is on Kyokushin Karate (the most effective form of Karate in real-life fighting situation). 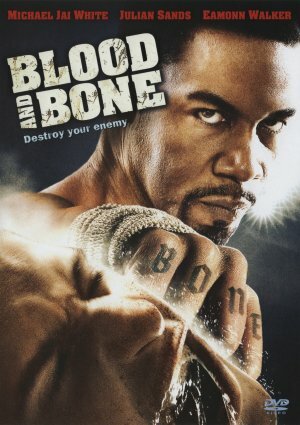 The hero was a little bit too dominant for an ex-con without pro fighting experience, Isaiah Bone (Michael Jai White) easily squashed all his opponents and make the final $5,000,000 fighter Pretty Boy Price (Matt Mullins) looks like a jobber. Whatever, I really enjoyed watching this movie. And I recommend it to any fan of action / fighting movie.